Thanks for making use of your valuable time to visit and read this content. My friend Pradip Upadhyay (Varanasi) was diagnosed with Focal segmental glomerulosclerosis (FSGS) in September which led to Kidney failure in the month of December. From past three months, he is undergoing dialysis which had a slight improvement. But in the recent activities, the doctors stated Kidney failures and need a Transplantation as soon as possible. 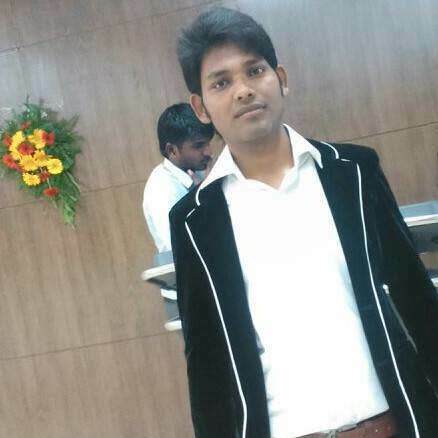 Pradip is an 25 years boy, who had brains and excellent knowledge in mathematics. He completed his Engineering in The Oxford College of Engineering, Bengaluru in the year 2015. He had many dreams and hopes for his future and his family.His Family is dependent on him. In wake of few incidents recently we came to know that, Pradip was suffering from Ankylosing spondylitis (an inflammatory disease that can cause some vertebrae in the spine to fuse) since January of 2014. Medicines prescribed by the doctor which ended up in damaging both the Kidneys severely. As a result of his kidneys now are leaking protein into his urine. 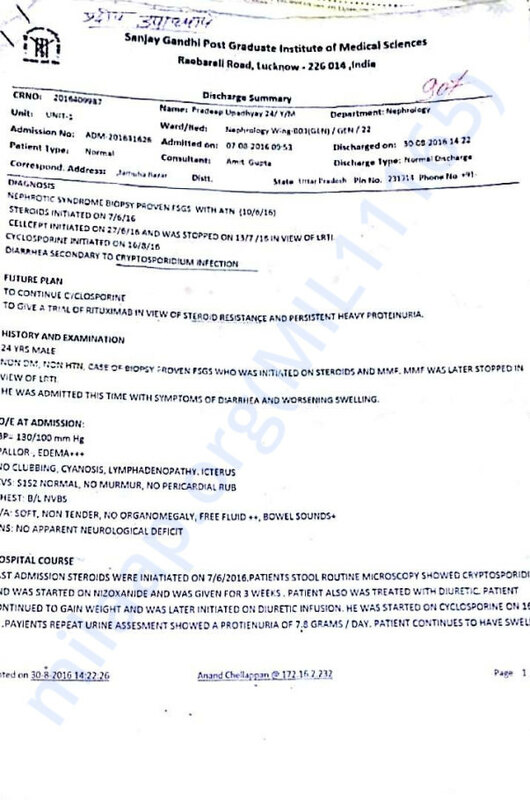 He has been diagnosed with FSGS with Acute Tubular necrosis (ATN) and his Kidneys are only 10% functional. 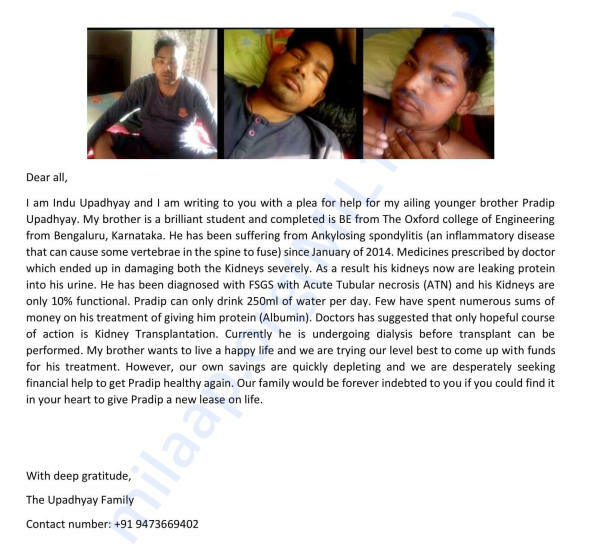 A recent suggestion by a doctor is that Pradip has to undergo Kidney Transplantation as soon as possible. Currently, he is undergoing dialysis before the transplant can be performed. His family has already spent an approximate amount of 6 Lakhs on his treatment. 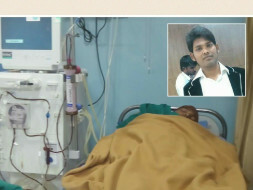 For the Kidney Transplantation, an approximate amount of 6 Lakhs is needed which will also include his medications. Now, my Friend is in urgent need of funds for his Transplantation. The doctor suggested that the transplantation has to be done in the month of February for his survival. We request all the donors and kind humans out there to help Pradip as much as they can, and give a ray of hope to Pradip and his Family as he has so much to live and see.